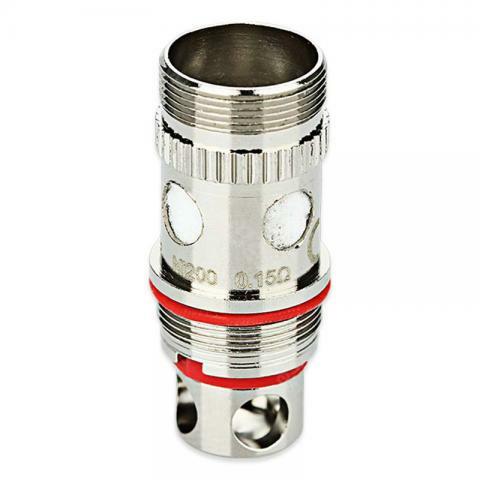 Aspire Triton Replacement Atomizer Head is for Aspire Triton/Triton 2 or Atlantis Tanks. Using traditional kanthal, Ni 200 and SS316L, this coil is suitable for mouth to lung vaping. It enables Triton to work with excellent performance. 5pcs Aspire Triton Replacement Atomizer Head is for Aspire Triton. Using traditional Kanthal, Ni 200 and SS316, this coil is suitable for mouth to lung vaping. Kandal is encoded with a blue gasket of 1.8ohm. SS316 is encoded with a black gasket of 0.3ohm/0.4ohm. Ni is encoded with a red gasket of 0.15ohm, and it enables triton to work on TC mod with excellent performance. • It works with Aspire Triton series or Atlantis series Tanks. I've had a Aspire Atlantis for years and these coils work perfect. Don't over power them and they'll last for a long time. They also work in the Eleaf Mello 4ml. They produce awesome flavor and huge clouds. Quality made coils that are great for MTL vapers.